Methicillin-resistant Staphylococcus aureus (MRSA) infections in hospital have obviously imposed a significant burden of morbidity and mortality, and strain on healthcare resources. Here, we review the genotype distribution of these pathogens in the Kingdom of Saudi Arabia (KSA). A PubMed literature search (until May 2014) specified 12 articles that characterized MRSA clones in KSA. Only two regions (Riyadh and Damamm) were represented in ten articles. Data from these articles showed that the pandemic Vienna/Hungarian/Brazilian clone (CC8/ST239-III) is the most frequent in Saudi regions (Riyadh and Damamm). Several other clones such as Barnim/UK-EMRSA-15 (CC22-IV), Southwest Pacific clone (ST30-IV) and European community-associated-MRSA clone (CC80-IV) have been detected in the Riyadh region. A variety of MRSA clones is beginning to circulate in Saudi hospitals. Continued collection and molecular characterization of MRSA is crucial for the effective prevention and treatment. Pharmaceutical care can be given in all settings: The community, hospitals, long-term care, and the clinic. However, published literature indicates that there is a substantial barrier to implementing pharmaceutical care programs in community pharmacies. This review was conducted to discover gaps and limitations in pharmaceutical care services in community pharmacies in the Kingdom of Saudi Arabia (KSA). We searched PubMed and other available scientific website databases using the following key words to retrieve the relevant articles: Community Pharmacy, Healthcare System, Pharmaceutical Care, KSA. Two authors independently screened the titles and abstracts of promising articles. They discarded irrelevant studies and retained studies, and reviews that held the promise of relevant data or information. The review revealed that only one out of the four studies conducted in KSA retrieved by the authors reported pharmaceutical care service other than dispensing. The same results were reported in other studies conducted in some developing countries. All pharmaceutical care services were reported in studies conducted in Europe. The authors came to the conclusion that in KSA, dispensing of medicines is the dominant service provided by community pharmacists and that there was very limited if not a total absence of other pharmaceutical care services. Background: The failure to detect "red flag" signs in patients presenting with acute low back pain can adversely affect the outcome of management. This can seriously affect the quality of life and productivity of the patient. Objective: The present questionnaire-based study was performed to assess the knowledge and awareness of red flag signs among primary health care physicians managing patients with acute back pain in Riyadh, Saudi Arabia. Materials and Methods: The study sample size was comprised of 80 subjects. The level of knowledge was assessed by means of a new structured self-administered questionnaire. The design of this questionnaire was based on the Agency for Health Care Research and Policy (AHCRP) guidelines for detection of red flag signs. Physicians were asked about red flag signs that indicate the presence of tumor, infection, spinal fracture, or cauda equina syndrome. 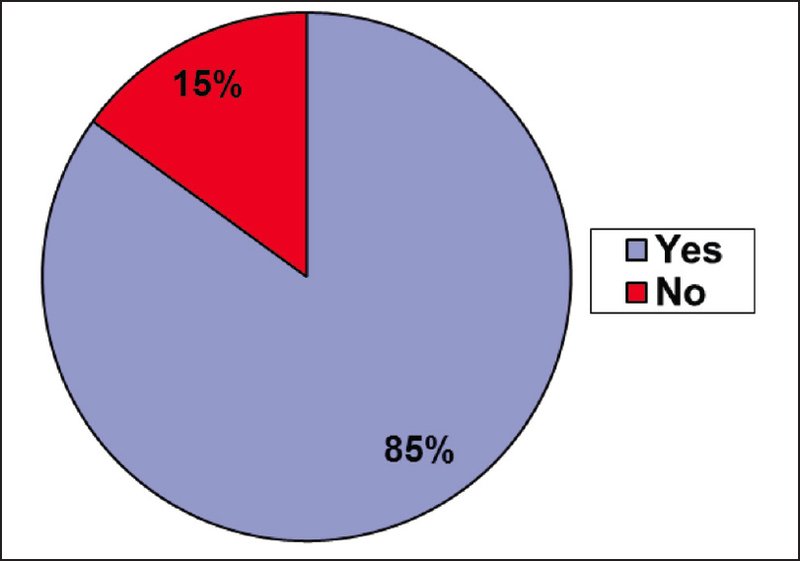 Results: Sixty-eight (85% of total) physicians were aware of red flag signs. Of the 68 physicians who were aware of the red flag signs, 58 (72%) were aware of neurological deficit, 36 (45% of total) were aware of extremes of age (<10 years and >50 years), and 33 (41% of total) were aware of and routinely inquired about the history of spinal trauma, whereas only 24 (30% of total) were aware of and inquired about constitutional symptoms in their patients with acute back pain. Conclusion: Although low back pain is extremely common, knowledge and awareness of red flag signs of primary health care physicians managing patients with acute back pain in Riyadh appear to be inadequate. This indicates a lack of adherence to the international guidelines. Specific educational programs should target these deficiencies and increase awareness. Background: The prevalence of extended-spectrum β-lactamase (ESBL) production and antimicrobial susceptibility testing in the Escherichia coli in frozen freshwater fish imported into Saudi Arabia have not been investigated. Objective: The aim of this study was to investigate the prevalence of ESBL-producing E. coli in frozen freshwater fish imported into Saudi Arabia and retailed in various supermarkets and food stores in the Eastern Province of Saudi Arabia. Materials and Methods: A total of 405 imported freshwater fish samples: Catfish (n = 65); mrigal (n = 45); tilapia (n = 135); carfoo (n = 50); rohu (n = 75); and milkfish (n = 35) were purchased from supermarkets and screened for ESBL-producing E. coli using ESBL chromogenic selective agar. 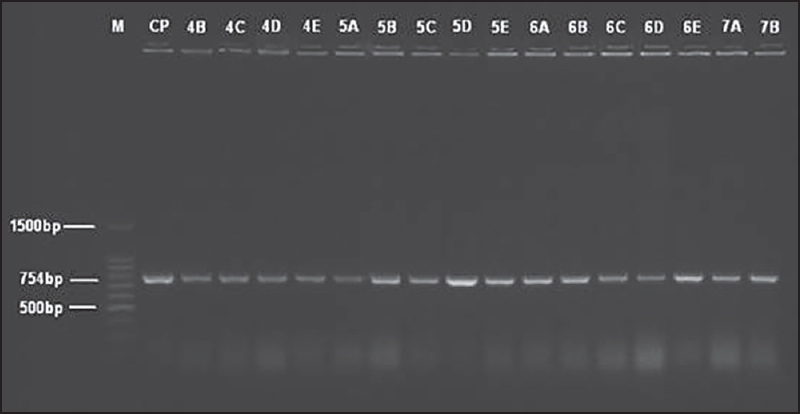 The phenotypically confirmed ESBL isolates were further tested for antimicrobial susceptibility testing against 21 antimicrobial agents and amplification of bla TEM , bla SHV , and bla CTX-M genes using polymerase chain reaction. Results: A total of 110 out of the 405 (27.2%) freshwater fish samples were found to be positive for ESBL producing E. coli and yielded 224 confirmed isolates. The highest rates of multi-drug resistant patterns to antimicrobial agents were observed in E. coli isolated from catfish, mrigal, and tilapia imported from Thailand and milkfish imported from Vietnam. The most prevalent ESBL gene found in the samples was bla CTX-M , which was detected in tilapia (100%, n = 30) imported from Thailand and carfoo (100%, n = 5), milkfish (60%, n = 24), catfish (52.3%, n = 34), and tilapia imported from India (34.8%, n = 24). Conclusion: The results confirmed the imported frozen freshwater fish is pool reservoir of antibiotic resistance and ESBL producing E. coli. Background and Aim: Studies of associations between various cancers and the ABO blood groups have shown elevated relative risks for some categories of disease. There has so far been no report of an evaluation of the relationship between the ABO blood groups and acne vulgaris. To investigate this association, we conducted a retrospective study of acne vulgaris diagnosed in Turkey. Material and Methods: All cases were clinically confirmed. Blood information was obtained on 498 individuals with acne vulgaris, and the distribution of ABO and Rh blood type for cases was compared with that of 419 healthy blood donors from the same geographic area. Results: Patients with group A and B blood groups ratios were higher than the control group, but not statistically significant (P = 0.325 and P = 0.138). The ratio of the patient group with AB blood group was significantly higher than in the control group (P < 0.01). The ratio of blood group O of patient group was significantly lower than in the control group (P < 0.01). There were no statistically significant differences between the patient and control groups in the distribution of Rh factor. Conclusion: Our study showed a significant association of AB and O blood groups with acne vulgaris. Further studies in a larger series on blood group antigens are needed to shed some light on the relationship between these antigens and skin cancer. Dissection of the aorta which is very rare in pregnancy usually occurs in the third trimester when blood volume and cardiac output rise to a maximum. 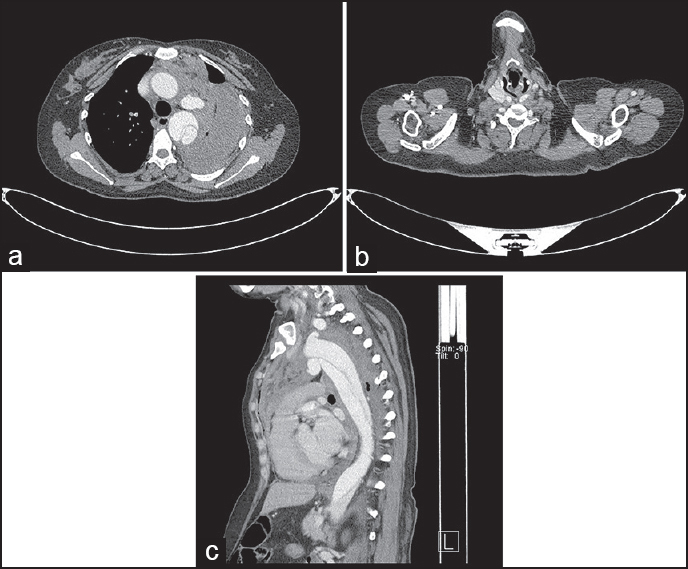 We present here, a case of a 38-year-old pregnant woman with acute aortic dissection Type B. Management was conservative and after stabilization of vitals, obstetric hysterotomy was performed. Inversion has been defined as the malposition of a tooth in which the tooth is reversed and positioned upside down. Very few cases of inverted and impacted third molars have been reported in the literature. The most common location of such a third molar in the mandible is in the ascending ramus. In the maxilla, the teeth may be displaced as far as the floor of the orbit. Two cases of inverted and impacted third molars are described. They were conservatively managed without surgery. The two cases are reported because impaction with inversion of a molar tooth is not common. Tramadol is a central acting analgesic of the opioid group used for moderate to severe pain. Tramadol overdose can be accidental or intentional and is more common in adolescent and adult males. 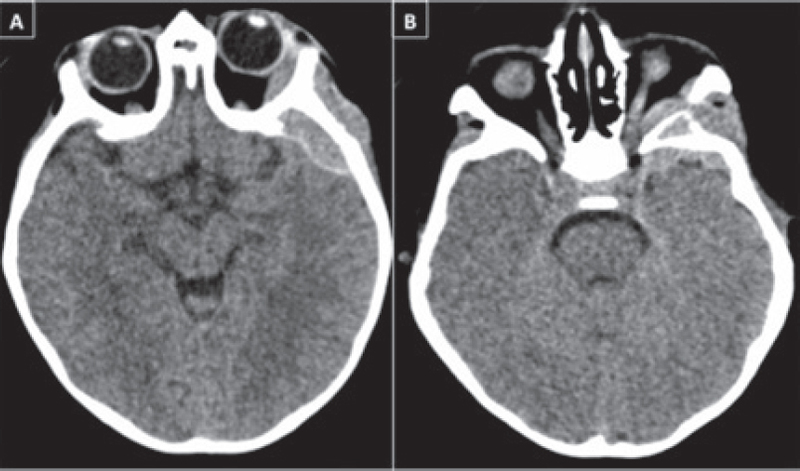 We report the case of a 4-year-old boy presenting with hypoglycemia following tramadol poisoning with loss of consciousness and convulsion; he was managed conservatively and made remarkable improvement without any sequelae. Sialolipoma of the parotid gland is very rare. 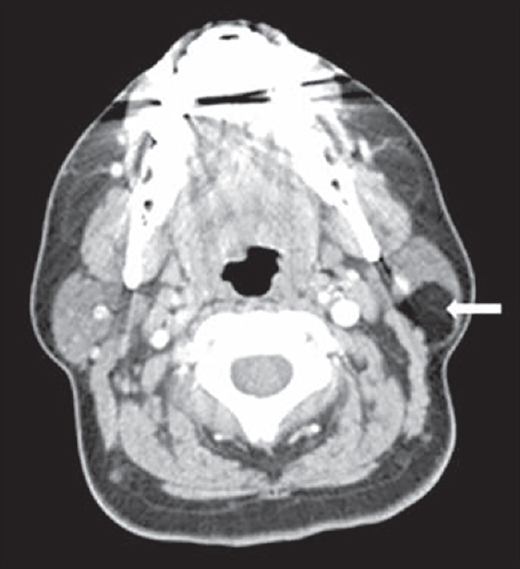 We report a case of a 38-year-old woman who presented with a painless, slowly growing, mobile lump of the parotid gland. Computed tomography revealed lipoma of the superficial lobe of the parotid gland. Superficial parotidectomy was performed with uneventful postoperative course. The histology showed sialolipoma. Review of the 25 reported cases (including our case) of parotid sialolipoma shows that this tumor is more common in the fifth decade of life, on the left side and the superficial lobe. It has a slight preference for men. Its clinical presentation mimics the standard (pure) parotid lipoma and other more common benign parotid tumors particularly pleomorphic adenoma and Warthin's tumor. Surgical excision is curative with minor complications and small recurrence rate. Histological examination is necessary to establish the diagnosis and to exclude malignancy. Puerperal pyrexia is defined as fever in a woman within 6 weeks of giving birth, which is ≥38°C. We describe the clinical scenario of fever and progressive jaundice in a 32-year-old female in the postpartum period. The laboratory data showed normal leukocytic counts and all her septic screen was noncontributory. While in the hospital, her bilirubin levels progressively increased and showed a mild elevation of liver enzymes. There was no evidence of biliary obstruction. A liver biopsy clinched the diagnosis of acute fatty liver. Acute fatty liver of pregnancy is a rare but serious complication of pregnancy. It typically presents in the third trimester and can lead to multi-organ failure and death. This report highlights the importance of liver biopsy and an atypical presentation of fatty liver of pregnancy. Cyclic vomiting syndrome (CVS) consists of recurrent paroxysms of severe nausea and vomiting separated by symptom-free periods. 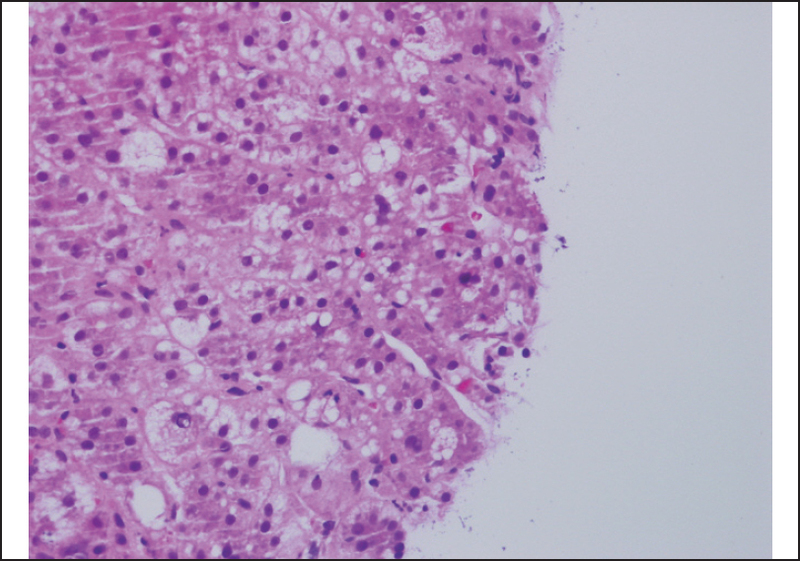 A 12-year-old boy presented with recurrent vomiting over a period of 3 years. Episodes occurred over a period of 6 months, and the patient remained normal for next 6 months. About 8 such episodes occurred in the last 6 months. Physical and neurological examinations were normal. All routine investigations were normal. He was started on cognitive behavioral therapy and cyproheptadine and improved gradually. CVS is considered a functional brain-gut disorder and is characterized by recurrent, sudden, stereotypical, disabling, discrete episodes of intense nausea and vomiting that can last a few hours to days interspersed with varying weeks of symptom-free intervals. Integrated treatment combining pharmacological, psychotherapeutic, psycho-educational and lifestyle aspects as well as family therapy provides the best chances of successful treatment.